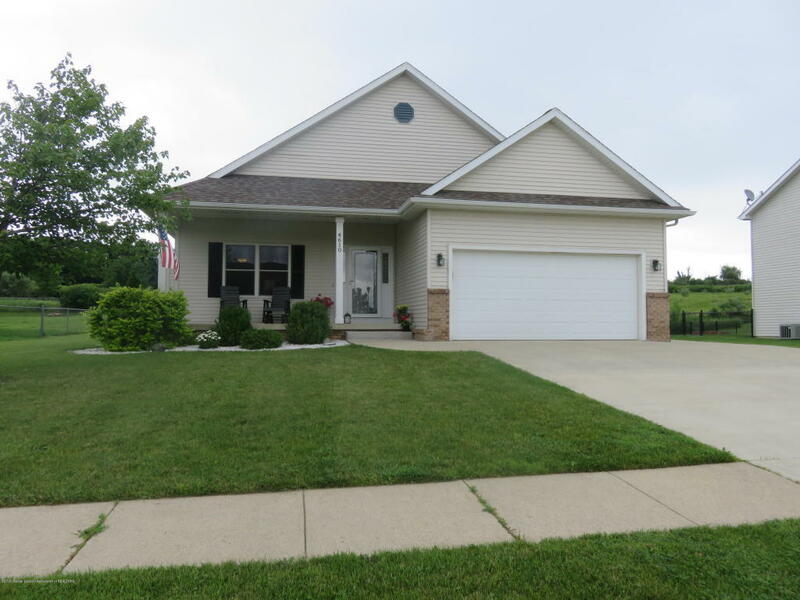 Beautiful ranch home in a great subdivision. Gorgeous hickory wood floors throughout living room, dining room, kitchen, hallway and stairway. First floor laundry. Country living views from back deck with lots of wildlife and bird watching. Charming neighborhood. Close to Sunset Hills Park playground and Eaton County Fox Memorial Park. New driveway in 2014 with additional parking space. Newer appliances. Enclosed storage room in basement. 50-gallon water heater new in 2014. This home won't last! Directions: Take Hartel Rd. north over bridge and turn on new road next to Benton Township Fire Department.